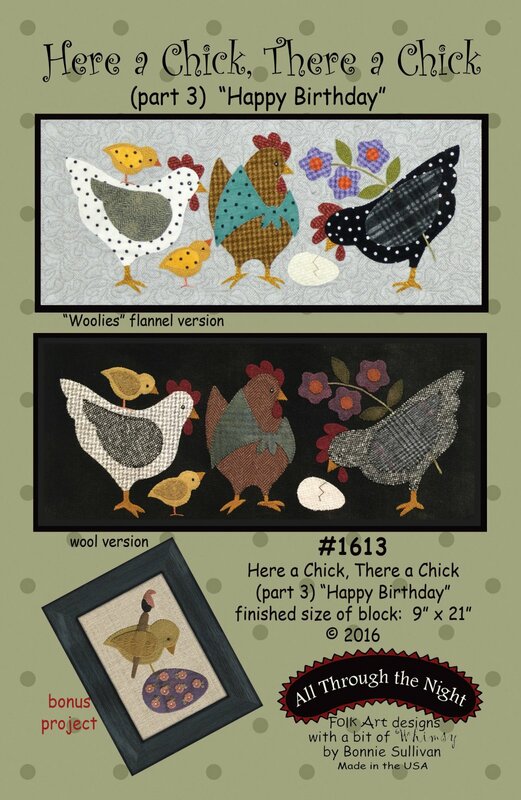 This 6 part Block of the Month features little chicks and their world. The 6 patterns combine to make a 36" x 42" wall hanging. Pattern also includes directions to make a smaller wool version wall hanging that measures 28" x 34" as well as a small bonus project in each pattern.